The 13th Edition of Cartridges of the World is a handy reference that contains illustrations and basic load data for over 1500 cartridges. The latest edition (released in October 2012) includes 55 new cartridges. This important reference guide can be ordered through Amazon.com for $24.73. 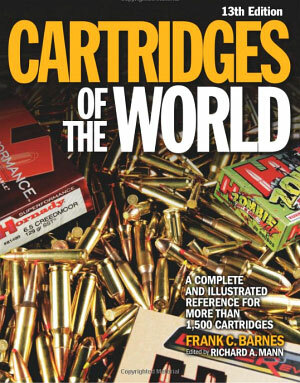 Cartridges of the World, the most widely-read cartridge reference book, is now even more comprehensive, with 55 new cartridges added since the last edition including popular wildcats and new offerings for AR-platform rifles. Share the post "Cartridges of the World Book Covers 1500+ Cartridge Types"